In the wake of the deepening economic, social and environmental crises, everywhere grows the desire for profound change in our way of life. The Jai Jagat campaign (“the victory of the World”) is working to achieve a benevolent World for the whole of the living, where “no one is left behind”. ❖ To promote Gandhi’s main message, namely non-violence, as a global transformation strategy and a way of living together. 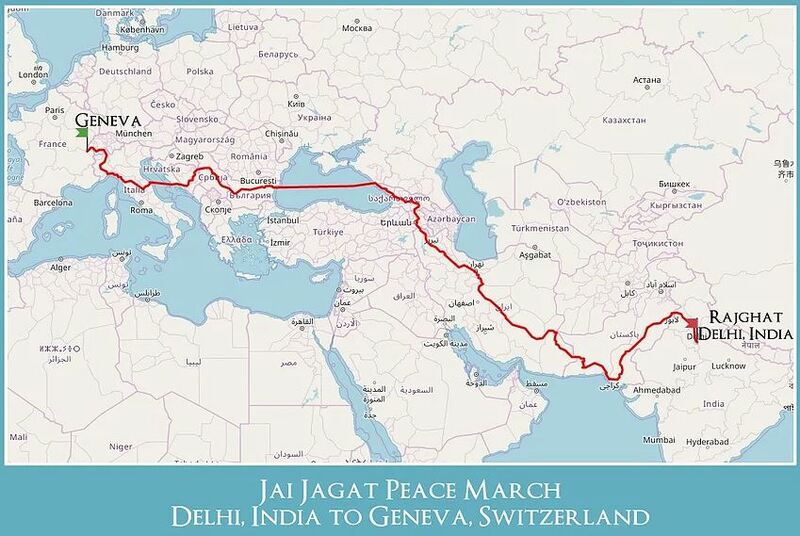 ❖ To make the Jai Jagat campaign, whose marches are an essential component, a tool for the convergence of the forces of change and individual, societal and institutional transformation. ❖ To promote the knowledge and emancipation of women, young people and the poor as essential actors of this campaign. ❖ To build on the Sustainable Development Goals (Agenda 2030) to fulfil these missions. “If you want a different world, do not be indifferent.